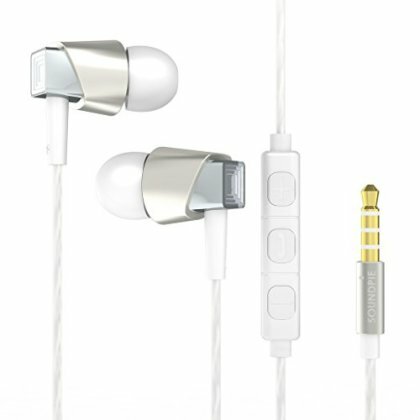 Built-in AI Smart System, Could be Volume Control for iPhone & Samsung with this earphone. And this cable is also tangle resistant. Enjoy your music and shut the world out with SoundPie stereo sound quality and seamless transition to handfree conversation. NOTE: Volume Control is testing only on IOS and Samsung android system phones, other android system phone might be varying. 1 Year Warranty, Free Replacement.